A magic show inspired by the most magical season of the year, a time of shorter days, colder nights, and annual celebrations of light. Come warm yourself this season with a little fun and a whole lot of wonder! 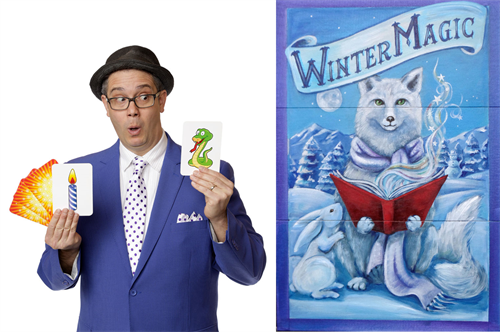 All ages are welcome to come laugh, smile, and participate in this very special seasonal magic show. Free!